WASHINGTON -- Thirteen states with more than a third of the nation's students, including Texas, announced Sunday that they are forming a coalition to improve high schools by adopting higher standards, more rigorous courses and tougher examinations. Unless the nation takes drastic measures on high schools, they said, it will lose its competitive position in the world economy. "For the first time, a group of states will reshape an institution that has far outlasted its usefulness," said Gov. Bob Taft of Ohio, a Republican. "More than 5 million students each year -- 35 percent of public high school students nationwide -- will be expected to meet higher requirements under this landmark initiative." Over the weekend, governors, business executives and Bush administration officials built political momentum for the ambitious agenda on high schools at an education summit meeting convened by the National Governors Association. In addition to Texas, the states are Arkansas, Georgia, Indiana, Kentucky, Louisiana, Massachusetts, Michigan, New Jersey, Ohio, Oregon, Pennsylvania and Rhode Island. Other states are expected to join in the next few weeks. Six foundations offered $23 million to help states remodel their high schools. The largest grant, $15 million, was from the Bill and Melinda Gates Foundation, which directly assists hundreds of high schools across the country. Others supporting the initiative are the Michael and Susan Dell Foundation, with a grant of $4 million; the Carnegie Corporation of New York, $2 million; and the Wallace Foundation and the Prudential Foundation, $1 million each. * Raise high school standards to reflect the skills and knowledge needed to succeed in college or the work force. * Restore the value of a high school diploma by requiring all students to take rigorous courses that prepare them for college and work. * Test students regularly to measure their progress in meeting stringent state standards. Colleges and employers now pay little attention to state test results because the exams do not measure the skills that students will ultimately need. * Hold high schools accountable by publishing more data on dropout and graduation rates. Some states focus on the proportion of 12th-graders who fail to graduate, overlooking the fact that many high school students drop out before their senior year. President Bush's education secretary, Margaret Spellings, welcomed the new initiative. "Talk is cheap," she told the governors, "but you all have a record of solving the problems you talk about." Gov. Mark Warner of Virginia, a Democrat who is chairman of the association, said governors want higher standards for high schools but not "the rigidity" of President Bush's No Child Left Behind Act, with its "bureaucratic oversight from Washington." A common language, Feb. 20.
reading and writing English” as Jill Stewart claims? out of special English and into mainstream classes. act. To a large degree, it's his fault. Latino kids in a separate world. kids are learning English so well. moderate Democrats stamped out failing "bilingual"
big, lasting gains in English literacy. talk to grandma" are producing smaller gains. a stunning 49 percent get those high scores. teachers get the bonuses and teach "bilingual." See any pattern there, Mr. O'Connell? poverty-riddled -- has blown past leafy Berkeley. days, dead-wrong Canadian theorist Jim Cummins. We should pray that pragmatic Democrats and Gov. States -- as "an untested teaching method." damage to the [children] in the long run." support them in maintaining their home language. Parents want their children to be competitive." "I don't understand Sacramento," Ephraim told me. "Why would anyone want to hold a kid back?" O'Connell's silence, that's precisely what's afoot. February 28, 2005 — Eighty-two percent of Texans support a law allowing the top 10 percent of high school students in their class admission to any public college or university in the state, according to the Scripps Howard Texas Poll. But Texans aren’t so enthusiastic about letting universities set their tuition rates, which the Legislature passed in 2003. Fifty-eight percent of Texans disagree with universities setting their own tuition rates and 36 percent agree. The top 10 percent rule and tuition deregulation were among a series of higher education questions included on this quarter’s Texas Poll. Some state lawmakers have filed legislation to do away with the top 10 percent rule but supporters say the public clearly wants to keep it. Gary Bledsoe, president of Texas NAACP, said he was encouraged by the numbers. "I think it’s clear the vast majority of people support the top 10 percent rule," he said. "It’s a colorblind rule." Among ethnic groups, 87 percent of Hispanics agree with the rule. So do 80 percent of Anglos and 85 percent of blacks. The top 10 percent law, created by the Legislature in 1997, was the state’s answer to a court ruling outlawing affirmative action at public universities. It was also a way to make sure minorities and students from rural areas are represented at the state’s institutions of higher learning. But the some elected and university officials say they want to reverse the rule because a U.S. Supreme Court ruling allows schools consider race during the admission process. Critics also have said the rule dissuades students from taking the most challenging courses. Meanwhile, Texans also believe it’s important for public colleges and universities to recruit minority students. Seventy-four percent say it is very important or somewhat important for universities and colleges to recruit minorities — an increase of 6 points from summer 2001. Among ethnic groups, 92 percent of blacks, 91 percent of Hispanics and 67 percent of Anglos believe minority recruitment is very important or somewhat important. The increase in support for recruiting minorities could be a reflection of the growing number of minorities in the state, said Angela Valenzuela, a University of Texas at Austin education professor and education chairwoman of the Texas League of United Latin American Citizens. She also said the state has done well in getting the word out about its Closing the Gaps initiative, a program designed to increase the number of Texans who go to college. "The campaigns at the state level to close the achievement gap, for a lot of Texans, has heightened their awareness about the importance of recruiting portions of the population that have been historically excluded from higher education," Valenzuela said. The public sees the top 10 percent rule as a way to do that, Valenzuela said. The Poll also asked Texans about tuition deregulation and whether Texas public universities are a good value, given the education that students receive. Eighty-one percent of Texans believe public universities are a good value, up 18 percentage points from 2001. Only 11 percent disagree that the universities are good value and 8 percent don’t know. Valenzuela said the percentage of people satisfied with the value have looked around and made comparisons. "When you compare a college education with other states or with private universities, it’s a good buy," Valenzuela said. Tuition has shot up since 2003. That was the year the Legislature allowed regents of the state’s university systems for the first time to set their own tuitions. At the same time, lawmakers slashed the higher education budget and asked every school to slice out 5 percent from their budgets. The average increase in tuition statewide went from $1,862 in the fall of 2003 to $2,188 in fall of 2004, a 17.5 percent jump. The tuition hike was greater at the flagships. Tuition at the University of Texas at Austin leaped 37 percent from the fall 2003. It went from $2,094 to $2,867 in fall 2004. At Texas A&M University, the tuition jumped 21 percent from $2,450 to $2,974, according to data from Texas Higher Education Coordinating Board. Even with recent hikes in tuition, many Texas Poll respondents agree that Texas universities were a good value. "Tuition’s going up everywhere," said Linda Armbruster, 54, of Grapevine and a mother of a 27-year-old daughter who went to college in Indiana. "The tuitions here appear to be lower than they are in the north." None of the bill's co-authors represent any of the eight voucher school districts. The co-authors are not willing to have vouchers in their own school districts but want to inflict this risky pilot on other districts. Hundreds of millions of dollars would be siphoned from these urban districts to subsidize private schools. Because of the number of co-authors, it appears that H.B. 1263 may be pushed in the Texas House over H.B. 12, the other voucher bill by Rep. Frank Corte (R-San Antonio). -- Every student who is homeless. If you are communicating with state legislators regarding H.B. 2 this week, be sure to tell lawmakers to keep vouchers out of the bill and to oppose any other bill or floor amendment that uses public money to pay private school tuition! The major school finance proposal that has been submitted for consideration in the Texas House of Representatives is House Bill 2 authored by Rep. Kent Grusendorf of Arlington, Texas. Despite conservative promises to kill the “share the wealth” feature used in part to fund Texas public schools, this proposal does not eliminate recapture. Legislators have found that they still need that source of revenue to support the whole system, but more importantly, recapture provides a way to keep the wealthiest districts from increasing the level of inequity in funding. Although recapture is kept in the system, this major House plan still reduces the level of high-wealth school district contributions, specifying that wealthy districts can now keep 65 percent of money they once gave to the state for re-distribution to all other schools. This approach clearly increases inequity between most school districts and high-wealth districts. The cornerstone of the proposals introduced into the Public Education Committee in the Texas House of Representatives involves major changes in the way Texas schools are funded. The radically new approach was first introduced in the last failed special legislative session convened in 2004 and serves as the basis for a new funding strategy. Continuing to rely on findings from a controversial study that examined the level of expenditures of school districts would need to meet extremely low state accreditation requirements, the House plan proposes to use a new “accreditation allotment” concept to replace the existing basic allotment, which is the major driver or component in the current funding. The new plan recommends an elementary school accreditation allotment of $4,550 for each student in average daily attendance in grades K-8, and $5,550 for high school students. The House proposal includes provisions that will abandon funding weights for special education, compensatory education and bilingual education programs (where additional funding for these programs is connected to the amount of money provided for “regular” students). This funding is converted from mechanisms that automatically adjust funding based on increases in the state’s basic allotment, to an approach that isolates these specialized programs and requires biennial battles to acquire specific funding for these special populations, a throw-back to the 1960s and 1970s. Historically, such specific fixed dollar-based mechanisms have made it extremely difficult to secure any necessary funding increases since districts that have few such students typically do not support increases that may require tax hikes at the state level. As in the 2004 special session, this warmed-over plan incorporates provisions that assure all school systems will receive enough money from the state to keep them at their previous revenue levels, plus 3 percent more in state funding to offset changes that are proposed for the system. These, in turn, essentially leave the effects of the prior system in place, delaying any real impact on districts negatively affected by the proposed changes, for at least one year. A major reform in the House proposal is a change in the level of local school district enrichment permitted. In the current system, the state allows local schools to supplement the basic funding level by up to 64¢ of local tax effort. This enrichment effort is partly equalized when the state ensures that districts with different abilities to raise local revenue will get similar amounts of money for every penny of tax effort they choose to charge. The potential inequality created by partially equalized enrichment is initially limited by the lower level of enrichment taxes permitted in the new plan. This means that instead of equalizing 64¢ of local enrichment effort, the state only allows districts to have a 10¢ enrichment tax. On the other hand, because of changes in the recapture part of the system, the extent of inequality in the Texas school funding system is allowed to get bigger than it is now. For example, a school district that qualifies for equalization funding may get up to 45¢ for every 1¢ of enrichment taxes; a wealthy district may be able to net over $200 for every penny of tax, or $155 more for every enrichment penny. If one multiplies both the 45¢ and the $200 by the 10¢ of local enrichment permitted in the new plan, the gap in funding between most districts and wealthy districts would increase to $1,550 per student ($450 in low and average wealth districts compared to $2,000 in the wealthiest), or $31,000 per classroom. Contrary to some claims, this would make the new plan less equalized than the system now in place. The new proposal being considered by the Texas House is a warmed-over plan rejected by House members in 2004. The funding levels promised provide very little “new” money to help local districts meet their cost of operation and are set below the levels estimated for providing every child in Texas an excellent and equitable education. The weakening of existing recapture features also sets up the potential for districts to eventually acquire authority to use the taxing capacity provided to produce high level of un-equalized enrichment, which the existing recapture plan short-circuits. Finally the reversion to fixed funding for special student programs for special education, low-income and students who are learning English would take the state of Texas 20 years back in funding approaches. To see the full declaration with these principles, go to http://www.texans4fairfunding.org/declare.asp and sign on today! Faced with the prospect of tagging nearly half of the state's school districts with failing grades under the federal accountability system, Texas Education Commissioner Shirley Neeley instead changed the rules to reduce the number of failing schools sixfold. The move, described by some as a direct challenge to the U.S. Department of Education's enforcement of the controversial No Child Left Behind Act, sets up a potential showdown between Neeley and the Bush administration. National education observers said Neeley's move makes Texas the first state to outright refuse to follow the law's requirements. Texas receives more than $1 billion in federal money tied to compliance with No Child Left Behind. Some of that money could be in jeopardy, depending on how federal officials react to Neeley's decision. The TEA released grades Friday. "It sets up, obviously, a rather interesting situation between the U.S. Department of Education and the state of Texas and you could see administrative funding cuts due to noncompliance," said Scott Young, a senior policy analyst with the National Conference of State Legislatures. Just days ago, the Denver-based group issued a report criticizing the president's education initiative as an overly rigid piece of legislation that undermines states' efforts to educate students. The disagreement centers on the federal government's requirement that schools exempt no more than 1 percent of their students from testing because of learning disabilities. Once a school crosses that 1 percent special education threshold, any additional students must be counted as failing. In Texas, nearly 10 percent of all students don't take the Texas Assessment of Knowledge and Skills because of their special education needs. Instead, they take a state-mandated alternative test. It's a predicament that has hurt the ratings of schools in other states as well, including Michigan, where special education participation rates were mostly to blame for the failing grades that went to a third of that state's schools. Last April, Neeley asked the Education Department for a waiver from the special education policy. It was denied in July, long after Texas students had already been tested. But rather than go along with the ruling as did many other states that lost similar appeals, Neeley granted appeals from 431 school districts and 1,316 campuses that stood to fail under the federal guidelines. When she was finished, only 86 school districts and 402 campuses were on the "needs improvement" list. Those that make the list in consecutive years must allow their students to transfer to better schools. "We really think this is more of a fairness issue," said Debbie Ratcliffe, a Texas Education Agency spokeswoman. "The poor school districts are caught between conflicting state and federal laws." The number of passing schools varies wildly under the federal system because each state develops its own tests and sets its own standards. So comparisons across state lines don't work. In Alabama and Florida, for example, 77 percent of schools missed the mark, while all but 4 percent of Wisconsin's campuses got passing grades. The Washington, D.C.-based Achievement Alliance criticized Neeley for giving the failing schools passing grades. Alliance members include Just for the Kids/National Center for Educational Accountability, the Education Trust, the Citizens Commission on Civil Rights and the Business Roundtable. "This is a message that we're not going to pay attention to the indicators. Instead, we're going to change the indicators so that we as schools look good," said Delia Pompa, the alliance's director and a former Texas Education Agency assistant commissioner. "The focus shouldn't be on whether the school looks good, but on whether children are learning. If children are learning, eventually, the school will look good." The Houston Independent School District was among the hundreds of school systems that benefited from Neeley's decision. The district would have landed on the "needs improvement" list had Neeley followed the federal guidelines. The number of failing HISD campuses shrunk from 77 (more than a quarter of all Houston schools) down to 26 because of her ruling. HISD officials said they had no reaction to Neeley's ruling. "That is between the TEA and the U.S. government," said district spokesman Terry Abbott. "We simply follow the guidelines of the TEA." All of the state's other major urban school districts — Dallas, Austin, San Antonio and Fort Worth — also would have missed the No Child Left Behind mark without Neeley's help. Local school districts that benefited from her ruling include: Aldine, Spring Branch, Spring, Alief, Klein, Pasadena, and Galena Park, the school district Neeley ran until Gov. Rick Perry appointed her education commissioner a year ago. Perry is scheduled to be in Washington, D.C., this weekend attending the National Governors Association winter conference, beginning with the National Education Summit on High Schools. Neeley did not notify federal education officials of her plan to change the ratings, Ratcliffe said. Texas is among about a dozen states lobbying federal education officials to raise the 1 percent limit, Ratcliffe said. Department of Education spokeswoman Susan Aspey had little comment on Neeley's decision. "We just saw this today," Aspey wrote in an e-mail. "It's a bit premature to comment. ... In general, if we find noncompliance, we have a range of administrative options at our disposal, which does include withholding funds." Many states that oppose the enforcement of No Child Left Behind will be watching closely to see how the conflict plays out, Young said. "The state needs to have the ability to decide on a case-by-case approach what the exemption level should be," he said. "I wouldn't be surprised if the U.S. Department of Education tried very hard to address their concerns without it becoming much of a problem," Young said. Robbing Pedro to Pay...Highland Park? Last week, Rep. Pat Haggerty became the first major Republican House member to publicly criticize the centerpiece education bill that the GOP leadership is touting as the "Roadmap to Results" on school finance. As a nine-term legislator from El Paso, Haggerty's criticism of the bill comes with first-hand knowledge of the specific funding and teaching needs of schools in El Paso County, where more than a third of Hispanic children live in poverty, and 10% go on to become high school dropouts. The bill's author, Rep. Kent Grusendorf, R-Arlington, chair of the House Public Education Committee, says his legislation would pump more than $3 billion "new dollars" into public education while "taking the sting out of Robin Hood's arrow" by reducing the amount of money recaptured from property-rich districts. At the same time, the legislation contains a strong shape-up-or-ship-out message to school administrators and teachers, with calls for greater accountability on standardized testing scores and the creation of a merit-raise system in place of across-the-board salary increases for teachers. But MALC members asked how can lawmakers can expect academic achievement without providing the necessary investment. "The irony is that kids are treated equally when it comes to tests and standards and expectations, but not treated equally when providing funds to meet those standards and expectations," said caucus chair Rep. Pete Gallego, D-Alpine. "If there is no new money," Haggerty added, "there can be no advance in education, and there can be no advance in equality." Grusendorf later took issue with MALC's criticisms, coming down particularly hard on Haggerty, the lone Republican to speak out at the press briefing. "Pat is not familiar with the bill," Grusendorf told Quorum Report. "He's parroting what somebody said." Haggerty, reached last Friday in El Paso, disagreed. "It's real easy to read numbers, and the money is just not there." The $3.3 billion in "new" money, Haggerty said, doesn't come close to recovering the $3.7 billion in education cuts made in the 2003 session. Under HB 2, most districts would receive funding increases between 3% and 8%, but many wealthy school districts would get much more than that. "Look at Highland Park," Haggerty said. "They'd be getting a 52% increase in funding." Indeed, Highland Park, an old-money Dallas community and one of the wealthiest school districts in the state, has become a poster child for what's wrong with Grusendorf's legislation. Critics of the bill say that HB 2 largely ignores what MALC members and the state's own demographer keep reminding us – that the future of Texas will look much like the predominantly Hispanic border communities of today. In other words, without funding that addresses the needs of poor school districts and children considered "at risk" because they are not proficient in English, the Texas of 2040 will, according to state demographer Steve Murdock, see a 40% increase in poverty, a 50% rise in welfare recipients, a 54.3% increase in prison population, and an overall $6.3 billion increase in elementary and secondary education costs. According to one state study, funding needs increase as the number of low-income and English-deficient students increases, yet MALC members point out that HB 2 directs substantially less money to these students than what the state study recommends. "HB 2 leaves 90% of the children behind," Gallego said. "The disconnect between this bill and the basic needs of Texas schoolchildren is appalling." With less than two weeks remaining before the filing deadline, hundreds of new bills are popping up daily – although many are dead on arrival. One major bill still very much in play, filed last Friday, is the long-anticipated but very controversial casino gambling proposal that would give Texas a taste of Las Vegas. As expected, Valley Rep. Kino Flores, D-Palmview, will carry HB 1337 and its House Joint Resolution 49, which calls for a Nov. 8 statewide election on the proposed constitutional amendment. It's not clear that this specific bill has a shot, but pressure is building overall for some form of gambling as an additional revenue source for schools. As goes gambling, so goes credit card debt – and possibly a new law that would require credit card companies to tell consumers how long it will take to pay off their debt. Rep. Lon Burnam, D-Fort Worth, said he filed HB 1089 to protect the more vulnerable consumers who can only afford to make the minimum monthly payments. "Texans should be able to look at their credit card bill and know that if they only pay the monthly minimum, then this is when their credit card debt will be paid off," said Burnam (e.g., sometime in the next millennium). The bill, if passed, would require companies to include the pay-off date on their monthly statements. Burnam said that about half of all credit card holders pay only their minimum monthly requirement. On the pharmaceutical front, two Houston Democrats – state Sen. Rodney Ellis and Rep. Scott Hochberg – have started drumming up support for legislation that would allow Texans to make online prescription drug purchases from Canada. The legislative proposals (SB 518 and HB 173) would allow the Texas State Board of Pharmacy to license Canadian pharmacies to sell and ship prescription drugs directly to consumers, Ellis said. In a press conference last week, the Houston legislators said that state residents could see huge savings on popular drugs obtained from Canada, including a 45% savings on the cholesterol drug Lipitor. The two companion bills are modeled after other programs in Minnesota, Wisconsin, Illinois, New Hampshire, and Vermont, among others, Ellis said. Copyright © 2005 Austin Chronicle Corporation. All rights reserved. AUSTIN — Gov. Rick Perry joined House Republicans on Thursday to tout "Roadmap to Results." That's the nickname for the bill aimed at overhauling the state's education finance system, getting tough on low-performing schools and providing property tax relief. Perry and House Education Committee Chairman Kent Grusendorf, R-Arlington, headlined the third of four news conferences held this week to promote the bill. On Tuesday and Wednesday, House members discussed the fact that the bill would provide $3 billion in new funding over the next two years and provide protection for taxpayers from skyrocketing property tax rates. The focus Thursday: Financial and academic accountability for school districts. "We must have more efficiency in our schools," Perry said. "If public money is used to lobby or litigate, taxpayers ought to know." Rep. Corbin Van Arsdale, R-Cyprus, said House Bill 2 would strengthen sanctions for schools where students consistently perform poorly on state standardized tests. He said if the state is going to pump more money into public education, education has to perform. "It's a huge investment in our children," Van Arsdale said. "But if we have a chronically failing school, that is a block to the investment. ... We will move in swiftly and close those schools down and reopen them with new leadership." The bill calls for reducing property taxes by one third while increasing education funding. It doesn't address the source of the money. Critics of the bill say it increases the spending gap between the state's richest and poorest students because it calls for severely limiting the current system that requires property-rich districts to turn over some of their property-tax revenue to the state to help poor districts. If the bill becomes law, no more than 35 percent of property-tax districts' property tax revenue would be turned over. That provision means a handful of districts will receive a huge increase in funding. EDINBURG, Tex., Feb. 23-Macario Guajardo was one child left behind Wednesday when his classmates took the all-important Texas statewide reading test for promotion to the sixth grade. Actually, 11-year-old Macario, an unlikely crusader at 4-foot-11 and 93 pounds, wearing a Spider-Man T-shirt, left himself behind. He stayed out of school in protest against what he called "the big deal" of the testing program, which he said "keeps kids from expressing their imagination." "I don't think I'm brave," Macario said at his home here in the Rio Grande Valley. "Any kid could do this. It does take a little bit of guts." Amid sharp critiques of the Texas-inspired federal education law called No Child Left Behind and its mandatory annual testing to measure school success or failure, a handful of students like Macario have taken the risky step of boycotting their tests. Some students say that the state tests, some of which predate the federal program, focus the learning process on test preparation. 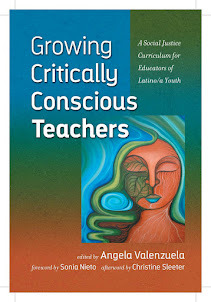 "The protests are very significant; I just think they're nearing the breaking point," said Angela Valenzuela, an associate professor of curriculum and instruction at the University of Texas and the editor of a collection of critical essays, "Leaving Children Behind," published recently by the State University of New York Press. In San Antonio on Tuesday, a 14-year-old high school freshman, Mia Kang, refused to take the required reading test, known as the TAKS, for Texas Assessment of Knowledge and Skills. Two years ago, another San Antonio freshman, Kimberly Marciniak, 15, made headlines when she boycotted the same reading test in its debut year. Also in 2003, two Washington State high school sophomores refused to take that state's mandatory exams. In 2002, parents in Scarsdale, N.Y., organized a boycott of the eighth-grade test. And in Stewart, Ohio, a high school senior, John Wood, 17, who has refused to take any statewide test since the seventh grade, has lost out on graduating this spring. That poses a quandary for his father, George, who is co-editor of "Many Children Left Behind," a 2004 book critical of the federal law, but is also principal of John's school and must keep him from graduating. George Wood said he supported his son, who has been accepted by two private colleges. In Texas, students like Macario who do not pass a state assessment test can be promoted only if a panel of the child's parents, teachers and principal all agree to make an exception. "The children are really hurting themselves," said Debbie Graves Ratcliff, a spokeswoman in Austin for the Texas Education Agency, which oversees the state's school system. Ms. Ratcliff said that each year three million students from grades 3 to 11 took the assessment tests in, depending on their grade, math, reading, writing, English language arts, science and social studies. Boycotts are "a rarity," she said. She defended the current tests as "harder, covering more grades and more subjects." The current statewide testing system in Texas grew out of an accountability movement fostered by Ross Perot in the 1980's. Jose Luis Salinas, superintendent of Macario's district, acknowledged that "a lot of critics feel we are teaching to the test and not to the child," adding, "As an individual I think a lot of that is true." But Mr. Salinas, with 32 years as an educator, said that "as the individual in charge, I must follow the law. This district stands behind the Legislature, regardless of what some of us may feel." Alfie Kohn, a Boston speaker and writer on education and the author of "The Schools Our Children Deserve," said, "People are scared to death in Texas to speak out." He added, "The use of fear and coercion to raise test scores has teachers despondent." Macario's parents, both educators, said they supported his action without trying to influence him either way although, they said, he had been under such stress over the past two years from a succession of substitute teachers and previous assessment tests that he had developed a nervous tic. His father, Francisco, 40, a former high school teacher, is a professor of education at the University of Texas Pan American in Edinburg. His mother, Yvonne, 40, teaches computer skills at Edinburg North High School and runs a local dance studio where Macario, his brother Daniel, 15, and sister Andrea, 13, study ballet. Daniel and Andrea are taking the assessment tests but say they applaud Macario's stance. A year ago, to take to an educational conference, Mr. Guajardo made a videotape of Macario giving a critique of the school system. It seems to have planted a seed with Macario. Last October, his father said, Macario, a student at Robert E. Lee Elementary School, which has earned an "Exemplary" rating for its test scores, "sat me down and said: 'Dad, we need to talk. This is serious. I want to protest the TAKS test.' "
Mr. Guajardo said he told Macario to "let it rest for a month, to see if he would get over it." But he did not, telling his father, as the boy recalled: "I think we should be doing other creative things that helps kids express their imagination. We don't do any art. We don't get enough recess." Mr. Guajardo suggested that Macario poll his classmates. Macario, who had earlier been elected class representative, said that he asked his teacher if he could speak to them, and that "she was very supportive." He made several speeches to the class. "I mentioned the stuff and why I disagreed with this law and how it keeps kids from expressing their imagination," he said. Father and son also met with the principal, who, Macario said, tried to change his mind. But Macario said he insisted: "I'm still not going to take it. I had better stick to my beliefs." As word circulated last week with an article in the Spanish-language newspaper Rumbo and two reports on local television, supporters came forward. Frank M. Gonzales, a neighbor of the Guajardos and a former high school principal, said his son, a lawyer, would be ready to help with a lawsuit. "I'm not against testing," Mr. Gonzales said, "I'm against how they're using it." Macario said he wanted to be careful how he spent his day of protest. "I didn't want to do something that makes me look like I'm wasting time," he said. He ended up going with his father to visit his grandparents at their nearby farm in Elsa to play with their goats and sheep and try out some chili recipes - he is a pepper devotee. And he read about the abolitionist Frederick Douglass. Thursday was set aside for make-up tests for those who missed Wednesday and Macario said he would skip those, too, although he would attend school. He had another idea, too. He asked his father if he could go to Austin, the state capital. "I want to talk to the government," he said. oncluding a yearlong study on the effectiveness of President Bush's sweeping education law, No Child Left Behind, a bipartisan panel of lawmakers drawn from many states yesterday pronounced it a flawed, convoluted and unconstitutional education reform initiative that has usurped state and local control of public schools. The report, based on hearings in six cities, praised the law's goal of ending the gap in scholastic achievement between white and minority students. But most of the 77-page report, which the Education Department rebutted yesterday, was devoted to a detailed inventory and discussion of its flaws. It said the law's accountability system, which punishes schools whose students fail to improve steadily on standardized tests, undermined school improvement efforts already under way in many states and relied on the wrong indicators. The report said that the law's rules for educating disabled students conflict with another federal law, and that it presented bureaucratic requirements that failed to recognize the tapestry of educational challenges faced by teachers in the nation's 15,000 school districts. "Under N.C.L.B., the federal government's role has become excessively intrusive in the day-to-day operations of public education," the National Conference of State Legislatures said in the report, which was written by a panel of 16 state legislators and 6 legislative staff members. Several education experts said the panel had accurately captured the views of thousands of state lawmakers, and local educators. If that is so, the report suggests that the Bush administration could face continuing friction with states and school districts as the Department of Education seeks to carry out the law in coming months. Nine state legislatures are considering various challenges to the law, and the Utah Senate is about to vote on a bill, already approved by the House, that would require state education officials to give priority to Utah's education laws rather than to the federal law. An Illinois school district filed a lawsuit against the Education Department this month in federal court, arguing that No Child Left Behind contradicts provisions of the federal Individuals With Disabilities Education Act. The National Conference, which has criticized the federal law in the past, represents the nation's 50 state legislatures, with a membership that includes 3,657 Republicans and 3,656 Democrats, as well as a few dozen elected from smaller parties, as independents or without any party affiliation. The task force worked for 10 months and held public hearings in Washington, Chicago, Salt Lake City, New York, Santa Fe and Portland, Ore. It also held deliberations in Savannah, Ga.
"They went out and heard lots of things from different people around the country, and this report reflects the breadth and depth of what they heard, and the changes that many people want," said Patricia Sullivan, director of the Center on Education Policy, a Washington group, who attended some of the deliberations. An assistant secretary of education, Ray Simon, met with members of the panel in Washington yesterday to discuss the report. "The department will continue to work with every state to address their concerns and make this law work for their children," Mr. Simon said in a statement. "But the report could be interpreted as wanting to reverse the progress we've made." He added: "No Child Left Behind is bringing new hope and new opportunity to families throughout America, and we will not reverse course." A Republican state senator from New York, Stephen M. Saland, the co-chairman of the task force, called the meeting with Mr. Simon cordial. "Everybody was in agreement about the goals of the law, but we in the states are concerned that the existing structure is very prescriptive," Mr. Saland said. "We think there are ways of doing accountability that recognize differences among states." The law will come up for reauthorization in Congress in 2007. But Mr. Saland said he and other members of the task force hoped to persuade Congress to change the law before then. Several groups that strongly support the federal law took issue with the report. "My big concern is they did a better job of pinpointing problems than identifying solutions," said Susan Traiman, a director at the Business Roundtable, a group that represents top corporate executives. "Most of what they call for would be a reversal that would turn back the clock on what N.C.L.B. is trying to accomplish, all in the name of federalism." One chapter of the report says that the Constitution does not delegate powers to educate the nation's citizens to the federal government, thereby leaving education under state control. The report contends that No Child Left Behind has greatly expanded federal powers to a degree that is unconstitutional..
"This assertion of federal authority into an area historically reserved to the states has had the effect of curtailing additional state innovations and undermining many that had occurred during the past three decades," the report said. "The task force does not believe that N.C.L.B. is constitutional," it said. But Steve Kelley, a Democrat who serves in the Minnesota Senate and a co-chairman of the task force, said the conference had no intention of going to court over the law's constitutionality. The report also examines what the task force called conflicts between the federal law and the disabilities act. Under No Child Left Behind, a disabled eighth grader whom educators deem to be working at a sixth grade level must take examinations for eighth graders. The report said the requirement contradicted provisions in the disabilities act requiring school authorities to design a unique instructional program suited to the needs and abilities of each disabled child. "N.C.L.B. requires students with disabilities to be tested by grade level, while IDEA mandates that students be taught according to ability," the report said. A Republican state representative from Utah, Kory M. Holdaway, who is a special education teacher as well as a task force member, said the federal law's provisions for educating the disabled were a special irritant in his state. Mr. Holdaway has long been a critic of the federal law and voiced legislators' concerns to the White House last year. "I hope the feds will have an open mind as far as letting us run our educational system as we feel it should be run," he said. President Bush raised the country's hopes last month when he previewed a $1.5 billion initiative that would promote desperately needed reform in the American high school system. The package laid out in the president's budget proposal touches on many of the right issues, but it is underfinanced and poorly conceived - and dead on arrival in Congress, which has signaled its intent to ignore crucial provisions of Mr. Bush's proposal. The White House, which failed to push for adequate funds for its last big education initiative, the No Child Left Behind Act, has only itself to blame for failing to do the necessary preparation before unveiling this big idea. Nevertheless, Congress should understand what's at stake here. As school reform grinds to a halt in Washington, American students are falling further and further behind their peers in Asia and Europe, where universally accessible quality schools are producing highly skilled workers at a rate that far outstrips schools in the United States. The traditional American high school, as conceived a century ago, was never meant to produce well-educated workers in the numbers required by today's economy. Remaking the system so American students catch up with their peers abroad will require several big changes. The curriculum must become far more rigorous across the board, and that can happen only if teachers improve. The schools must offer broad-based remedial instruction to help the eye-popping 70 percent of students who arrive at high school reading too poorly to absorb the complex subject matter they will be required to cover. The system must also develop ways to ensure that students leave school with problem-solving and communication skills that will allow them to thrive in the information economy. President Bush wants to extend right into high school the testing requirements that are mandated for the lower grades under No Child Left Behind. This page has been second to none in supporting systematic testing, but talking about tests without first addressing all the things that are wrong with the current system is putting the cart before the horse. Mr. Bush has also proposed a package of academic interventions for struggling students that he would pay for mainly by killing off a $1.3 billion federally financed vocational education program. This figure is far short of what's needed to renovate America's ailing high school system. But the president's underlying point - that many vocational education programs obstruct academic achievement - is perfectly valid. The low-end programs prepare students for low-skill jobs that no longer exist. Worst of all, they commonly become dumping grounds for poor and minority students, who are pushed through shop classes - with no academics to speak of - and then deposited on the street after graduating with meaningless diplomas. Shockingly, the typical American high school student earns more credits in vocational education than in either math or science. The only way to justify keeping vocational programs is to make sure that they offer a sound academic grounding along with preparation for the new economy's high-skill jobs, instead of just wood shop and fender pounding. At the moment, however, some in Congress would like to push in exactly the wrong way by exempting vocational programs from even the inadequate current academic standards. LEBANON, Tenn. A judge hearing child-abuse and neglect cases in Tennessee has given an unusual instruction to some immigrant mothers who have come before him: Learn English or else. Most recently, it was an 18-year-old woman from Oaxaca, Mexico, who had been reported to the Department of Children's Services for failing to immunize her toddler and show up for appointments. At a hearing last month to monitor the mother's custody of the child, Wilson County Judge Barry Tatum instructed the woman to learn English and to use birth control, the Lebanon Democrat newspaper reported. Last October, Tatum gave a similar order to a Mexican woman who had been cited for neglect of her 11-year-old daughter, said a lawyer who is representing the woman in her appeal. Setting a court date six months away, the judge told the woman she should be able to speak English at a fourth-grade level by that meeting. If she failed, he warned, he would begin the process of termination of parental rights. "The court specially informs the mother that if she does not make the effort to learn English, she is running the risk of losing any connection; legally, morally and physically; with her daughter forever," reads a court order from the hearing, according to Jerry Gonzalez, the Nashville attorney who represents the woman. Tatum's orders have become the subject of debate in this Tennessee community, which has seen an influx of non-English speakers over the past decade. Civil-rights advocates, including the American Civil Liberties Union, have called his orders discriminatory and unconstitutional. But many of Tatum's neighbors cheered the principle behind his act, saying new immigrants should be encouraged to assimilate more fully into American life. Juvenile court proceedings are often more informal than adult cases, and it's not unusual for judges to give lifestyle advice to parents who come before them in neglect or abuse cases. And, when written down and signed by the judge, those instructions take on the force of a court order. Such orders should pertain to behavior that contributes to abuse and neglect, said Susan Brooks, an expert on family law at Vanderbilt University Law School. Brooks said she was not familiar with Tatum's orders, but typically the inability to speak English would not fall into that category. The state Supreme Court regards the right to raise one's own children as fundamental, she added. "That's treading on sacred ground," she said. Tatum did not respond to interview requests from the Los Angeles Times, but he has explained that he gave the orders in hopes that the parents would make a greater effort to assimilate into American society, opening more opportunities to their children. He has given similar orders to non-English-speaking parents in as many as five cases. He said he has never removed a child from a parent because the parent did not speak English. Because records from juvenile court are sealed, further details of the cases were not available. In Lebanon, a city 20 miles east of Nashville with a population of just more than 20,000, it was once rare to hear a foreign accent, much less a foreign language. Now Lebanon has become home to more than 1,200 foreign-born agricultural and manufacturing workers, including about 400 whose primary language is Mixteco, a language indigenous to Mexico. Though the judge's order may have been a mistake, "the general sentiment is if people are going to be in this country, we all have a moral obligation to learn to speak the language," said Bob Bright, 61, who runs an insurance agency in Lebanon. In the October case, Tatum made a clear link between the mother's English abilities and her parental rights, said Gonzalez, the mother's attorney. In the case, an 11-year-old girl had been placed with a foster family after allegations of neglect, Gonzalez said. The mother, who spoke only Mixteco, asked the court to arrange counseling, and the judge denied that request, instead giving the women a deadline for basic mastery of English. The growing fight over expanding legalized gambling in Texas took center stage Tuesday at the Capitol. Horse- and dog-racing industry representatives described the legalization of video lottery terminals at racetracks as a lifeboat for lawmakers who want to increase state revenues but do not want to raise taxes. Gambling opponents say the terminals, which are similar to slot machines, will drain money from existing businesses and encourage the types of addiction that tear families apart. While lawmakers are floating gambling proposals ranging from the sale of lottery tickets at gas pumps to the construction of Las Vegas-like casinos across the state, the prospect of video lottery terminals has created the most intense debate. By some estimates, the state could take in $1.2 billion a year in profits from the machines, though critics challenge those numbers. Representatives of both sides of the issue took their cases to the House Ways and Means Committee, which took no action. The issue looks particularly dicey for Republicans, who will be in political hot water if they raise taxes but also want to deliver enough new education money to their local schools and find a way to offset property taxes. They face heavy pressure from the party's grass roots to stop the lottery terminals. Gambling opponents on Tuesday pointed to figures that show that low-income Texans spend significantly more money on gambling every month than those with higher incomes. Texans who earn between $20,000 and $29,000 a year, for example, spend $106 a month on the state's lottery, on average, while those who earn between $76,000 and $100,000 spend less than $29 a month on average, according to state figures cited by gambling opponents. "It would be wrong, both from a fiscal and a moral point of view, to adopt a tax scheme that will be dependent on the lowest income-earners in the state to fund our most critical state programs," said Suzii Paynter, director of public policy for the Christian Life Commission of the Baptist General Convention of Texas. Racing officials, however, said people are going to use the machines anyway. "These people live in Texas already," said Howard Phillips, president of Manor Downs. "They're just going (to other states) to do it, and other than selling them some gas when they drive there, I don't think we're getting any benefit." Racing advocates also say a growing number of horse owners are breeding their animals in Louisiana, where they can compete for prizes that are boosted by the machines. Rep. Kino Flores, D-Palm- view, has filed a bill that would expand casinos in the state (there is one Indian-run casino in Eagle Pass), but he said the legalization of lottery terminals will pay faster dividends. "Would you rather have the opportunity to go play a game of chance and let the state keep $5 worth, or would you rather the state force you to give it five bucks?" he asked. But gambling opponents said video lottery terminals would attract compulsive players who would neglect their jobs and their families. Rhenel Johnson, a Houston pastor, said a single mother in her church inherited $10,000 but squandered that money by playing slot machines. "It was so bad that her children would call her on the cell phone and ask her to come home," Johnson said. House Speaker Tom Craddick has said the fate of gambling legislation will be up to the full House, while Gov. Rick Perry has distanced himself from a plan he floated last year to legalize the machines to help pay for schools. Ways and Means Committee Chairman Jim Keffer, R-Eastland, said he hopes the committee will approve a bill next week that spells out which taxes the Legislature will raise to make up for the one-third reduction in property taxes that state leaders want to deliver as part of their overhaul of the state's $33 billion school finance system. The legalization of video lottery terminals, which is expected to need approval from two-thirds of the Legislature and from a majority of the public, is not expected to be part of that bill. But it could arrive on the floor of the House separately if House leaders decide they need more money for education, health care or other priorities. The gambling testimony came a day after Rep. Jim Pitts, R-Waxahachie, filed a bill that would replace the local property tax for school operations with a statewide tax. Proponents say it's the best way to ensure that schools have the same amount of money for each student. iting the paltry skills of many high school graduates, the nation's governors are calling for more rigorous standards and harder exams than states have already imposed, often with considerable difficulty. Despite the zeal for academic standards and exit exams that has swept across states in recent years, a high school diploma does little to ensure that graduates are capable of handling the work awaiting them in college or in the workplace, the National Governors Association said in a report issued yesterday. Graduation requirements remain so universally inadequate that it is possible to earn a diploma anywhere in the nation and still lack the basic skills required by colleges and employers, the governors reported. Indeed, more than 4 in 10 public high school students who manage to graduate are unprepared for either college courses or anything beyond an entry-level job, the governors reported, requiring billions of dollars in remedial training to endow them with the skills "they should have attained in high school." "We must restore the value to a high school diploma," said Gov. Mark Warner of Virginia, a Democrat who is the chairman of the governors association. "Put simply, our standards have not kept pace with the world or the global economy." He added, "We must push our students harder and expect more from them." Many of the proposals the governors are considering are consistent with the tenets of President Bush's signature No Child Left Behind law: higher aspirations for student achievement and graduation rates, close monitoring of improvement and, should progress fail to come, stiff consequences. But in other ways, the agenda is more ambitious than the federal law, a potential bone of contention considering that states have widely complained that No Child Left Behind is already far too onerous. This month, for example, the Utah House of Representatives unanimously approved a bill ordering local officials to spend as little state money as possible to comply with it. To begin with, the governors association is proposing that states regularly test their high school students. Federal law requires such tests largely in the lower grades, though President Bush has proposed imposing greater scrutiny on high schools. Beyond that, the governors' agenda not only calls upon states to adopt and achieve clear academic standards, as federal law does, but also urges setting those standards high enough to satisfy colleges and employers - something the governors say that few states, if any, have done. "Now that we have academic standards in place, we must ensure that they are the right standards," said Gov. Bob Taft of Ohio, a Republican who is the co-chairman of Achieve, an organization created by governors and business leaders to promote academic standards that wrote the report with the governors association. Mr. Taft added, "Most states have not yet set the bar high enough." Despite such lofty goals, the governors association says that states will be the ones controlling the "redesign" of their high schools, and therefore will be relatively free from the bureaucratic constraints accompanying the federal education agenda. "It's not so much about how to get there, as long as you get there," said Dane Linn, education director of the governors association, which is asking its members to draft plans to strengthen their own state curriculums. "It's not something we want the feds to come down and tell the states how to do." The opportunities for friction are manifold. Educators and children's advocates have mounted fierce opposition to exit exams and other test-heavy changes in education, largely out of concerns that struggling students will be more likely to drop out and that teachers will simply teach to the test at hand, hampering the development of broader skills in thinking. When Mr. Warner looked at the exit exams of 13 other states in 2003, for example, he said that nine of those "that talked tough about high stakes had retreated and pulled back from their consequences." In that light, getting states to adopt an even stricter curriculum than they already have, and then possibly denying diplomas to those who have failed to master it may not be easy. "The idea of consequences, and sticking to your guns about it, that is still is very controversial," Mr. Warner said. Even so, some education advocates applauded the idea of injecting more rigor into state standards and curriculums, especially with the ultimate goal of improving graduation rates and getting more students into college or better paying jobs. Mark it down: 2005 may be a banner year for private school choice in state legislatures. Citing the success of President Bush and other Republicans in the November elections, along with years of grassroots organizing and struggles to break into the political mainstream, conservatives are hoping it’s time for some payoffs on the school choice front. And there are signs that their hopes are warranted, particularly as the movement is reaching states where few signs of deep political interest in vouchers, tuition tax breaks, and similar programs were present just a year ago. “This was the first year that school choice forces weighed heavily in state legislative elections,” said Clint Bolick, the president and general counsel of the Alliance for School Choice, a national advocacy group based in Phoenix. Home schoolers Steven and Kim Beach entertain their son Samuel, 5 months, as they join hundreds of others at the Statehouse in Columbia, S.C., for a rally supporting Gov. Mark Sanford's controversial tax-credit proposal. The couple educate their other two sons, who are 4 and 7, at home. Mr. Bolick said political action groups that support school choice stepped up their donations of time and money to the campaigns of many legislative candidates. That help, in his view, likely gave new incentives to some legislators to push for measures to increase parents’ educational options—and boosted support for choice among others. “There’s no question that they elevated the issue of school choice in a number of states,” he said of the political action groups. The federal No Child Left Behind Act also may be helping to fuel school choice proposals. The law requires states to give options to students in persistently low-rated schools, and some choice proposals are aimed at those schools, said Julie Bell, who follows education policy for the Denver-based National Conference of State Legislatures. While school choice legislation is getting serious looks from lawmakers in several places, analysts said last week it was too early in the legislative year to predict which bills would pass. In South Carolina, Republican Gov. Mark Sanford and members of the GOP-controlled legislature want to open public schools to private-sector competition. Meanwhile, Wisconsin and Ohio lawmakers are studying expansions of their well-known school voucher programs. The Texas legislature is considering a limited voucher proposal. Other plans are brewing in Indiana, Minnesota, and Missouri. In South Carolina last week, Gov. Sanford spoke at a rally on the Statehouse steps, championing his proposed “Put Parents in Charge” Act. He argued that it would help struggling students through its mix of competition and income-tax credits. Mr. Sanford addressed thousands of people at the Feb. 15 rally, most of whom represented private schools and home schoolers, according to local news reports. The governor’s plan would give families earning up to $75,000 in taxable income—covering almost everyone in the state—a credit on their state income taxes for the cost of public or private school tuition of up to 80 percent of the state’s average per-pupil cost. The amount would increase with the child’s age, and initially would be capped at about $4,000. Public school districts would receive the local and federal dollars for students who left, while the state per-pupil aid would follow the student, Ms. Nielsen said. Home schoolers would not be eligible for the tax credits, but parents would be allowed to deduct textbooks costs, membership dues, and online services. The plan also would create South Carolina’s first corporate tax-credit scholarships. Unlike similar programs in Arizona and Florida, the South Carolina plan would allow businesses to make virtually unlimited contributions to nonprofit scholarship groups in lieu of paying state corporate taxes. Those groups would then provide scholarships for school tuition. Gov. Sanford argues that his plan would be a major economic-development boon. The South Carolina School Boards Association and other education groups say the tax credits could cost the state huge amounts of money and would undermine the institution of public education. Debbie Elmore, a spokeswoman for the school boards’ association, said that tens of thousands of students could leave public schools under the programs within a few years—disabling a system that works for many students, she said. “This proposal is unaffordable, unproven, and unaccountable,” she said. Through the tax-credit scholarships, Ms. Elmore contended, private and religious schools would be able, in effect, to divert massive amounts of public money with little oversight. “It’s too wide-open,” she added. The South Carolina debate could be a prologue to showdowns over private school choice in other states, as policymakers weigh the value of employing competition to spur overhauls of their K-12 public education systems. Academic progress, indeed, is one of the themes being sounded in Ohio, where Gov. Bob Taft has proposed expanding the state’s 8-year-old, $17.9 million voucher program currently operating in Cleveland. The Republican’s proposed fiscal 2006 budget, presented on Feb. 10, would set aside $9 million for the new scholarships. The Cleveland voucher program now provides up to $2,700 for private school tuition. The new “Ohio Choice Scholarships” would offer up to $3,500 per student from specific elementary and middle schools in the state—those in which two-thirds of students have failed both mathematics and reading tests for three consecutive years. Currently, 70 Ohio elementary and middle schools fall into that category, based on data collected from the 2001-02 through 2003-04 school years. If approved, the new program would begin in the fall of 2006, said Mark Rickel, the governor’s press secretary. Some 2,600 students could receive vouchers. The delay is intended to give the targeted schools a chance to improve, and to allow private schools a chance to prepare for voucher recipients, he said. Gov. Taft “has lost patience with the schools that were persistently failing,” Mr. Rickel said. The program would provide full tuition for participating private schools, which must agree to limit tuition to the voucher amount. In contrast, the existing Cleveland program allows the participating schools to charge additional tuition on top of the value of the voucher. Also, students in the new program would be required to take the state assessment, like students in public schools, and would have to show progress in order to continue receiving the scholarships. Students in the Cleveland voucher program must also take tests, but test scores showing progress are not a requirement. The Ohio School Boards Association is “adamantly” opposed to Gov. Taft’s voucher proposal, said Fred Pausch, the group’s director of legislative services. “We need to allocate more money to failing schools before we start allocating money to a whole new program,” he said. He noted that the Ohio legislature is just beginning to review the governor’s budget. “We’re basically in the first inning of the baseball game,” Mr. Pausch said. Another Republican governor, Tim Pawlenty of Minnesota, has proposed a $4 million tax-credit scholarship plan that would allow 1,500 low-income students in low-rated schools in Minneapolis and St. Paul to attend private schools. The scholarships would come from corporate donations made to nonprofit organizations in exchange for tax breaks. Texas Gov. Rick Perry, also a Republican, has proposed a pilot voucher program for students in low-rated schools in some of the state’s largest school districts. Other programs are on the table in Indiana and Missouri. An Indiana voucher bill has gained support in the largely Republican state legislature, and the Missouri program would offer tax-credit scholarships for families with moderate incomes, and has backing from new Republican Gov. Matt Blunt. Meanwhile, the Wisconsin House and Senate have passed bills that would lift an enrollment cap on Milwaukee’s voucher program, though Democratic Gov. James E. Doyle has threatened to veto the legislation. Mia Kang stared at the test sheet on her desk. It only was practice. Teachers call it a "field test" to give them an idea of how students will perform on the Texas Assessment of Knowledge and Skills. But instead of filling in the bubbles and making her teacher happy, Mia, a freshman at MacArthur High School, used her answer sheet to write an essay that challenged standardized testing and using test scores to judge children and rank schools. "I wrote about how standardized tests are hurting and not helping schools and kids," said Mia, who looks and acts older than her 14 years. "I just couldn't participate in something that I'm completely opposed to." Mia isn't boycotting just the practice tests. The straight-A student said she'll refuse to take the state- and federally-mandated tests Texas teachers begin administrating next week. The decision isn't a popular one. When Mia refused to take the practice test, two school guidance counselors came to the classroom to try to change her mind. "They warned me that it would be a black mark on my record and that I should choose my battles wisely," Mia said. Mia is the latest in a growing number of students nationwide who are showing their opposition to high-stakes testing by putting down their pencils. These young people say the "drill and kill" mentality of test preparation is destroying their thirst for knowledge and creating a generation of students who are missing crucial lessons in critical thinking, creativity and discovery. Frustration also grips teachers, but at least in Texas, it's students who are making their voices heard. A fifth-grader in Edinburgh also is refusing to take the test this year. And two years ago, Kimberly Marciniak, then a freshman at the North East School of Arts at Lee High School, received national attention for her decision to boycott. Students in Massachusetts and New York also have participated in organized boycotts. Kimberly, now 17 and studying in New Zealand, said she has no regrets. "I am definitely not an attention seeker and I was kind of unprepared for the attention it received," Kimberly said. "It really was a bit overwhelming, but I accomplished my goal of creating awareness and attention." Texas has been gauging student progress with high-stakes standardized tests for the past decade. The state's accountability program, which ranks schools based on student progress, became the blueprint for President Bush's sweeping education reform law, labeled No Child Left Behind. Under the federal mandate, schools must show progress in the overall student population, as well as in subgroups based on race, ethnicity, disability and economic status. The stakes are high, with some schools standing to lose students, money and autonomy if they fail to meet federal standards because too few students pass the tests. There is risk for individual students, too. In Texas, third- and fifth-graders must pass the test to be promoted to the next grade, and high school students must pass all four sections of the test — English, math, social studies and science — to earn a diploma, regardless of what their report card says. Kimberly said she won't take the test when she returns to the state next year even though it could cost her a diploma. She said wagering a child's future on the outcome of one test is unconscionable. "Each year our country wastes billions of dollars producing and distributing these tests when we could spend that time and money finally giving teachers a salary they deserve or helping schools build classrooms and libraries," she said. "We have third-graders in our state that are being called failures. You call any child a failure and they are bound to feel like a failure." Macario Guajardo, a fifth-grader at Robert E. Lee Elementary in Edinburgh, said the test puts too much pressure on youngsters. For the first time this year, fifth-graders in Texas must pass the reading and math portions of the test or be held back a grade, with very few exceptions. "I'm doing this for myself, and all kids too, so they won't have to be going through pressure from the TAKS," Macario said. Macario's father, Frank Guajardo, encouraged his son to boycott the test. "Mac was physically sick for a long time," he said of his son's test anxiety. Guajardo, an assistant professor at the University of Texas Pan American in the department of education leadership, said one test should not determine whether a child can move ahead in school. "Personally, I don't think we need to get rid of the tests, but it would be very useful to me if we were to follow something like the Rhode Island or Maine state law," he said. "In Rhode Island, they don't allow the test to count more than 10 percent of the criteria of how a child should be passed to the next grade." Richard Middleton, superintendent for North East School District, which is home to both Mia and Kimberly's schools, said he's not surprised by the backlash against testing, but he hopes students weigh the consequences carefully. "In both cases, it's not a matter of whether these students could pass or not. They're very, very capable students," Middleton said. "I just hope they don't restrict opportunities in the future by doing this." But even Middleton understands the frustration. "There is a real punitive flavor to all of this," he said. "If you're testing to be diagnostic, to identify weaknesses and work on them, that's one thing. But all we hear about is dropping the hammer on schools." Test preparation dominates classes, Mia says, squeezing out time for meaningful discussion or creative projects. "These tests don't measure what kids really need to know, they measure what's easy to measure," she said. "We should be learning concepts and skills, not just memorizing. It's sad for kids and it's sad for teachers too. Mia's mother, Jennifer Radlet, said she supports her daughter. "She has educated us on the whole issue for years now. I admire her for following through with this," Radlet said. Radlet, in the midst of a career switch after being a stay-at-home mom for the past several years, is earning her teaching certification. She hopes she can be the kind of teacher who engages students, but she's not sure she can in the test-frenzy environment that dominates America's public schools. "Children learn when they are allowed to discover things and grasp concepts," she said. "Teachers today have to motivate kids to learn and pass standardized tests at the same time. I don't know if that's possible." The stakes are likely to get higher for Texas schools. House leaders are proposing sweeping changes to the state's accountability plan. The plan includes allowing the state to close or take over schools with consistently low test scores. Alfie Kohn, a Boston-based education commentator and author of "The Case Against Standardized Testing," said the accountability movement that has permeated every corner of the nation is riddled with flaws. Chief among them, according to Kohn, are culturally biased tests that are a better measure of a child's wealth than his or her academic potential. "Standardized tests are exquisite standards of measure of the size of the houses near your school. They're purporting to tell you about school quality and it really tells you about affluence," he said. "Tell me how many kids you have on free and reduced lunch, if their families have a car and if they do, what kind, and I will predict their test scores with frightening accuracy." A MacArthur High teacher said Mia is showing courage by standing up for what she believes. "We are constantly being told that character education is an important component of teaching a child," said the teacher, who asked not to be identified. "Clearly this child has learned her values. She's developing her character — a strong, honest character — and she's following through with it. "Mia threatens people because Mia actually is evaluating what she believes in and is applying an intelligent response to an irrational situation." Mia doesn't plan to take the TAKS test ever. Like Kimberly, she doesn't intend to participate even though it means her diploma is on the line. Both girls have stellar academic records and hope colleges see beyond one test. "If my high school diploma means I passed one test in the 11th grade, then that's pretty meaningless," Mia said. Staff Writer Macarena Hernandez contributed to this report. The book's title is a mocking lament: "Many Children Left Behind: How the No Child Left Behind Act is Damaging Our Children and Our Schools." Written by education activists and published by Beacon Press here in September, the book echoes the continuing grumblings in some academic circles about the No Child Left Behind Act, which President George W. Bush signed into law three years ago to prod improvements in U.S. public schools. In particular, the book zeroes in on the concept of test-based accountability, which the law embodies. That idea has been riding a wave of political support in Washington and state capitols for more than a decade, culminating in enactment of No Child Left Behind four years ago. It passed Congress with broad bipartisan approval; the Senate favored it on a vote of 87-10. In his State of the Union address on Feb. 2, Bush hailed what he portrayed as the law's success, saying that "standards are higher, test scores are on the rise and we're closing the achievement gap for minority students." The day before, Bush's newly installed secretary of education, Margaret Spellings, said that the law's testing component is "the linchpin of the whole doggone thing." But the authors of "Many Children Left Behind," along with leaders of some civil rights organizations and educators' professional associations, are deploring what they say are the harmful effects of "high-stakes tests." By that they mean federal or state programs that mandate schools to use standardized tests to measure academic achievement, combined with sanctions against schools or students depending on the results. No Child Left Behind, for example, requires yearly testing in grades three to nine and at least one year of high school to rate students' progress. Schools whose average test scores do not measure up are subject to being ordered to pay for extra tutoring or student transfers to other schools and, ultimately, to being turned over to state or private management. Bush proposes extending the law to cover three years of high school. The intellectual rebuttal to the high-stakes testing regime, to use the critics' term, is detailed in "Many Children Left Behind," a compendium of seven essays. The book's authors argue, among other things, that such an approach crudely evaluates performance, punishes schools for deep-seated social problems beyond their capacity to remedy and causes teachers to narrow their curriculum and adopt a short-sighted "test-prep" strategy at the expense of real learning. "High-stakes tests are wooden assessments that are so detached from reality, especially in schools serving poor students, that it's outrageous," Theodore Sizer, a contributor to "Many Children Left Behind," said in a recent interview. Besides Sizer, a visiting professor at Harvard and Brandeis Universities and a former Brown University professor, other contributors include Deborah Meier, founder of schools for low-income students in Boston and New York City and the recipient of a MacArthur Foundation "genius" award, and Linda Darling-Hammond, a professor of education at Stanford University. As the prestige of the authors suggests, the book's message reflects a strong current of continuing opposition among American education thinkers to the trend toward test-based accountability. "Within education schools, my view is distinctly a minority view," acknowledged Robert Schwartz, a professor at the Harvard Graduate School of Education, who supports the trend. Studies of high-stakes testing show that they tend to produce higher rates of students dropping out or being held back to repeat a grade, and those who fall by the wayside are disproportionately African-Americans and Latinos, according to Darling-Hammond of Stanford. "Schools can get rewarded for pushing students out," she said. "If you get rid of the lowest-achieving kids, your average will go up. You are not necessarily improving achievement. You may be just getting rid of the lowest achievers." In rebuttal, Schwartz said, "There's very little evidence that I have seen that's definitive on that subject." He referred to the finding that test-based accountability results in higher dropout rates. By long-standing American tradition - epitomized in the legendary extreme of the one-room schoolhouse on the prairie - teachers and local school boards are entitled to a large measure of autonomy. Unlike the educational systems, say, in France and Germany, there was relatively little centralized control over U.S. public schools. The earliest embrace by the states of standardized exit tests as a qualification for a high school diploma dates to the 1970s. The trend has accelerated as the overall performance of American students has deteriorated, compared to the scores of their counterparts from other industrialized nations. By the time that No Child Left Behind took effect, in 2002, about half of the 50 states already had instituted a standardized exit exam as one yardstick to determine eligibility for graduation. "Decentralizing the setting of standards to individual schools had resulted in a lot of inequities," Schwartz said. Test-based accountability "is the most powerful lever we have that's driving the system to get better," he added. Elaborating on that point during a panel discussion that Schwartz moderated at Harvard last summer, William Moloney, the Colorado education commissioner, noted that five years of such testing in his state "have seen Anglo students at twice the level of African-Americans. When the metro dailies picked that up, that drove change for minority kids in those neighborhoods." Moloney added that "absent embarrassment, you will see no change." Darling-Hammond countered recently: "That argument has been put forth for more than 10 years and it just hasn't proven to be true." Some leading civil rights advocates bemoan the trend toward test-based accountability, but not all of them do. Spellings's African-American predecessor as Bush's education secretary, Rod Paige, often touted No Child Left Behind as the key to closing the "achievement gap" and as the United States' most crucial civil rights initiative. Among those opposed to No Child Left Behind is the chairman of the National Association for the Advancement of Colored People, Julian Bond. He decried the law at the association's national convention in July, saying that the testing program was disproportionately harming minority children. Two Democratic members of the Congressional Black Caucus, Representative Chaka Fattah of Pennsylvania and Representative Major Owens of New York, raised the issue squarely with Bush at a White House meeting last month, according to Paul Braithwaite, the caucus's executive director. "You can't have a test until students are prepared," Braithwaite quoted Fattah and Owens as having said to Bush. The testing features of No Child Left Behind continue to rankle many educational professionals as well. A critique of the law as "overemphasizing standardized testing" and "narrowing curriculum and instruction to focus on test preparation rather than richer academic learning" was endorsed last October by the National Educators Association, which represents 2.7 million educators. All told, 45 education, civil rights, children's and other groups have supported that position since October, said Monty Neill, co-executive director of Fair Test, an education advocacy group in Cambridge, Massachusetts, and the prime mover behind the statement. The list includes such other major educators' associations as the American Association of School Administrators, National Council of Teachers of English and National School Boards Association. Conspicuously missing is the 1.3-million member American Federation of Teachers, which has supported the accountability principles of No Child Left Behind but has cooled on some aspects of its implementation. A paramount concern of the educators' associations that endorsed the white paper, according to Neill, was the law's having established a "set of punishments that are likely to be counterproductive and demoralizing of the teaching force." Will Teacher Merit Pay Make the Grade?